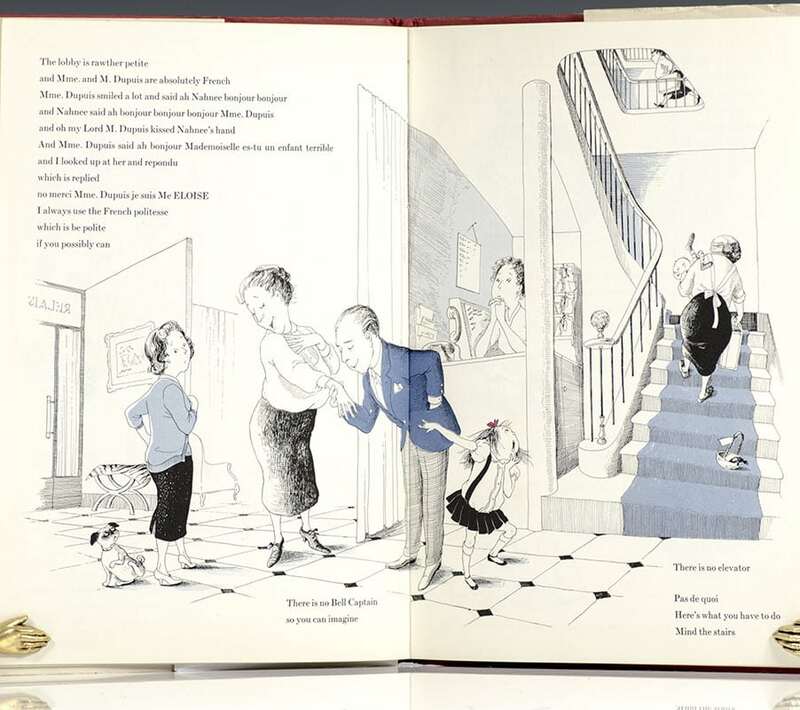 Thompson, Kay; Illustrated by Hilary Knight. New York: Simon & Schuster, Inc, 1957. First edition of the second book in Kay Thompson’s cherished Eloise series. Quarto, original cloth, illustrated throughout. Signed and dated by Hilary Knight on the title page. Fine in a near fine dust jacket. New York: Simon and Schuster, 1983. Later printing of the first book in the author’s beloved Eloise series. Slim quarto, original illustrated boards. 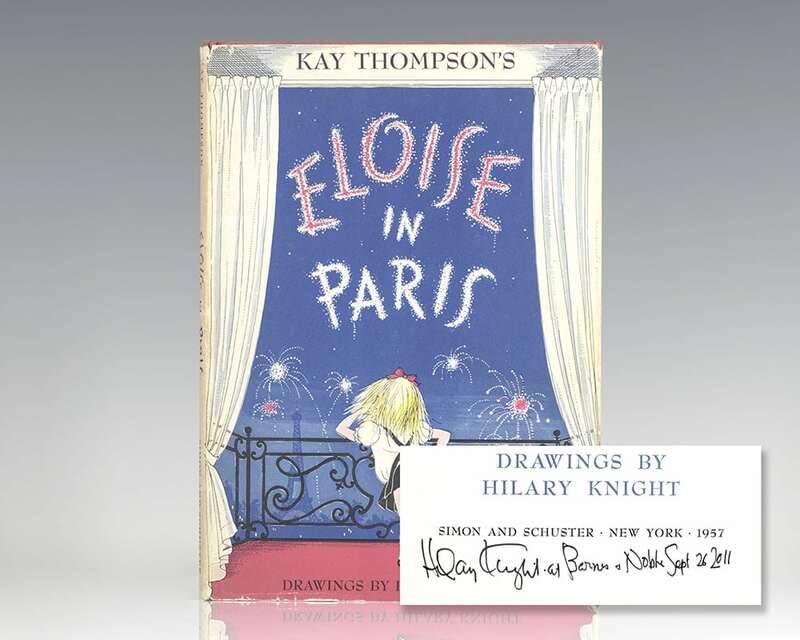 Signed by illustrator Hilary Knight on the half title page. Fine in a fine dust jacket. Eloise, Eloise in Paris, Eloise At Christmastime, Eloise In Moscow, Eloise Takes a Bawth. New York: Simon and Schuster, 1955-2002. First editions of each of the five Eloise titles. Quarto, 5 volumes. Each are signed by the illustrator, Hilary Knight. Each are near fine in very good to near fine dust jackets. A brilliant set of this timeless classic.